Of mates, parents or anyone else with something to say. Sometimes it happens. You're getting along well with a pupil, driving lessons are going great and then wham! A message saying they're not happy with the progress they are making and they want their money back. Returning money for lessons paid in advance is no problem. Refunding money on lessons they have had is a different matter entirely. So what was the problem I asked him on the phone. "Well, I've been talking to my mates and..." From here on in it's a lost cause. This pupil in particular lives in a part of town that is not good for a learner driver who cannot move off or stop, let alone turn left and stay on their own side of the road. It would be unsafe to start there and would lead to safety critical incidents every time we had to move or turn. I took the decision, which he agreed with, to drive us to a suitable area to start the lesson. No problems. Turns out his mates have been telling him that I'm wasting his time and should take an 'in at the deep end' approach because that's how you learn to drive. Of course that isn't how you learn to drive. It's how you learn to be nervous and scared of the road. 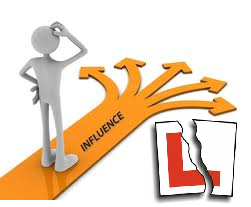 It seems once a learner has been influenced by friends or relatives it's very difficult for a driving instructor to convince them otherwise. In the end I refunded him an hour of used lesson time as a compromise to get him out of the door without leaving bad reviews or generally slagging me off. He was friendly about it and seemed pleased with the way I dealt with the complaint. The fact that many of his mates were or are illegal drivers didn't make him question their opinions at all. Today I did a refresher lesson for a pupil whose friends had tried to convince her that she didn't need any and she should get out on the road by herself after three years of not driving. Luckily she had the strength of mind to ignore them and get some training. Very nice lesson it was too. She definitely does need refreshing and may have put herself and others in danger had she just gone out on her own. These incidents have made me realise that we don't teach in a vacuum. Every pupil is subject to negative influences from the people around them and what they get through the media. From boy racer mates to parents who think that you shouldn't need more than ten lessons to pass the test. Just like yesteryear back in the 80s. There is only so much we can do to counteract these influences without it becoming personal. No doubt pupils will tell others what has been said in the car so we've got to be very diplomatic. Anyway, dodgy pupil has gone and nice new pupils have entered my diary so it's onwards and upwards all the way. I've been looking at how talks go on about modernising the driving test to make it more fit for purpose. I don't really see much wrong with the test itself. Teaching needs to keep up with modern practices so it sticks after the test but the driving test itself is fine I think. There is talk of including a sat nav section which would be useful. I also heard that manoeuvres were being done away with altogether which would be a big mistake. In a world short of road space you've got to be able to move the vehicle safely in confined spaces. I teach a wide range of people who all have their own views on the driving test. Some of them are based on myth while others can be motivated by culture or by past experience. The attitudes based on myth are the funniest. Some people believe that the test is rigged and based on quotas. Don't get your test on a Friday because they will have run out of pass certificates is an old favourite that keeps sticking around. People from overseas can be outraged at how difficult and lengthy the UK driving test is. Students from the middle east think the test is way too long and far too stringent. This can cause a few problems during teaching as they shrug off their mistakes like it doesn't really matter. Constantly comparing how we drive here with what you can get away with in Iran can become a bit of a bore. Driving in Iran sounds like a deadly game of forcing your way through traffic by any means necessary compared to here. Trying to convince foreign students that our way is the better and safer way can be a bit of a challenge. They tend to have a distrust of officialdom and what they see as needless bureaucracy which can make them a little argumentative towards examiners. Even after they have just passed. Many experienced drivers think the test is not hard enough. It's a lot more difficult than it was when I passed back in the 80s. Many parents seem to think that nothing has changed since then and their kids should be able to pass in 10 lessons or less. They also see the test as being something separate from 'real driving' and just want their kids put through as quickly and cheaply as possible. Whether the youngsters are safe on the road afterwards seems to be of secondary concern. 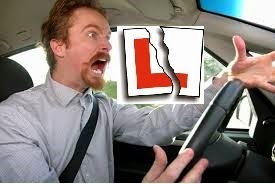 I'm sure that the driving test will continue to evolve in it's own slow and painful way. There are many ways it can be refined to include new things. I would definitely reduce the number of allowed driver faults. 15 is a bit too many for my liking. I think 9 is about right. As long as the driving test helps produce better drivers in the future any progress is good news.